Leighton-Linslade Town Council has been asked to finance a PCSO for the town to help meet the shortfall in Bedfordshire Police’s funding. Bedfordshire Police and Crime Commissioner (PCC)Kathryn Holloway has written to town and parish councils across the county, admitting that last month’s Government’s settlement was not enough, as previously reported here. Cllr Amanda Dodwell, who represents Leighton Buzzard South, told the LBO: “We seem to be getting mixed messages from the PCC. “It is just a few weeks since the PCC heralded her achievement of securing extra funding for Bedfordshire Police to recruit extra front line officers, and now she is telling us that these increases will just about allow the budget to stand still and the money she has secured is not enough. Of the force’s £8m settlement increase announced in December, just £1.4m was provided by the Government for frontline policing, with £1.2m towards the pensions deficit. The remaining £5.6m is expected to be raised through increasing the police precept of council tax – around £24 a year for a Band D home. “In principle, I would support any move that would allow us to have extra police resources in Leighton-Linslade. The town council already commits £40K a year to Operation Dodford, and I believe that using the money to gain an additional PCSO for the town could be money well spent. “However, we would need cast iron assurances that this person would be in addition to the PCSOs we already have, and they would be entirely committed to Leighton Buzzard and Linslade. “Unfortunately, I can see one of two things happening. Either one of our existing PCSOs will be transferred elsewhere, leaving us no better off than before, or if there were pressures elsewhere, our dedicated PCSO could see themselves reassigned. “Therefore, before I could support this proposal from the PCC I would want to clarify who would be responsible for deploying this extra PCSO and who would be setting priorities, and we would need a commitment to maintain existing police numbers in the town. 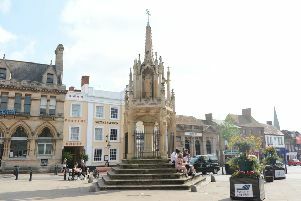 Leighton-Linslade Town Council was due to discuss the PCC’s request at its meeting last night (Monday). >What do you think? Should parish councils fund a PCSO for their own area? Email news@lbobserver.co.uk.